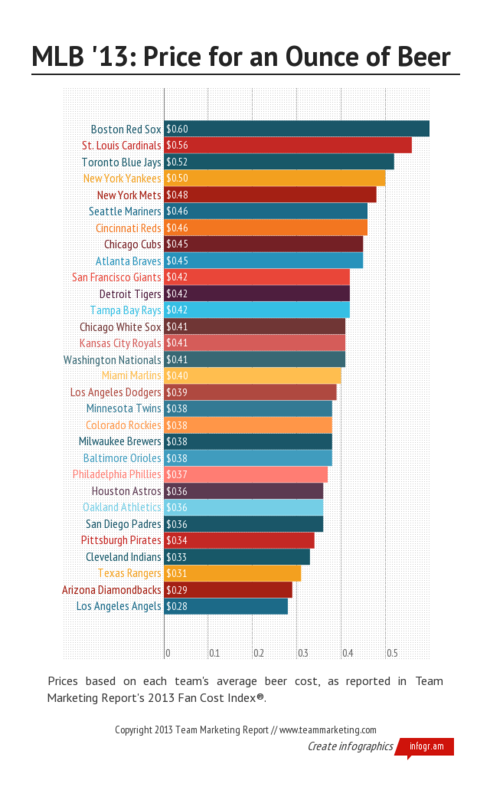 Via Deadspin, Team Marketing Report analyzed and compiled each MLB team's charge for an ounce of beer. 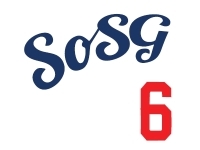 The Dodgers are smack dab in the middle of the MLB, with an average cost of $0.39 an ounce. Boston had the highest at $0.60/ounce; the Angels were cheapest at $0.28/ounce. The Giants were the most-expensive-per-ounce team in the NL West, at $0.42/ounce. And that's not even considering AT&T's price per ounce of chardonnay. The Golden Road IPA and Frozen Kirin are $0.83/oz, which would top this list by a wide margin.